No-one can say that the Aborigines hadn't warned them. Since settlers first arrived, in the late 18th century, the stories had been told. The Australian Outback was home to not one, but two species of Hairy Men. The more ferocious of them stood at up to 10ft tall. Covered head to toe in thick, black hair, with human-like fingers ending in talons. Their yellow eyes watched from the foliage; and when they attacked, it was with uncommon strength, speed and stamina. The white men thought that the natives were just trying to scare them away. But then, in 1790, a man from Sydney saw one too. The sightings have not stopped since. In 1890, Reverend Threlkeld published some of the Aboriginal tales, that he had heard while making contact with local tribes. The missionary Reverend Lancelot Edward Threlkeld had religious reasons for wanting to talk with the Australian Aborigines. After gaining their trust, they had stories to share with him too. On the slopes of Mount Sugarloaf, a tribe habitually removed the incisors from their mouths. It was a rite of passage into adulthood. The reason for it startled the vicar. It was for protection. In the forest around them lived giant, hairy spirits named Yowie. Much taller and broader than even the largest man, it could defeat them easily. It was no good trying to out-run the spirits. It would bound after its victim, with footfalls which resounded across the mountain. It would catch them with hardly any effort at all. 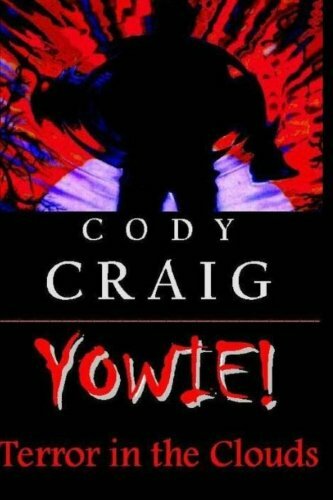 The Yowie would then use its finger to lift its victim's upper lip. If the incisor was gone, then the human being was not a threat. The Yowie would drop them and simply walk away. But if those teeth were still there, the creature would kill its prey on the spot. Then it would devour the human remains. It was safer all round just to remove the incisors, and not let the children wander off alone. 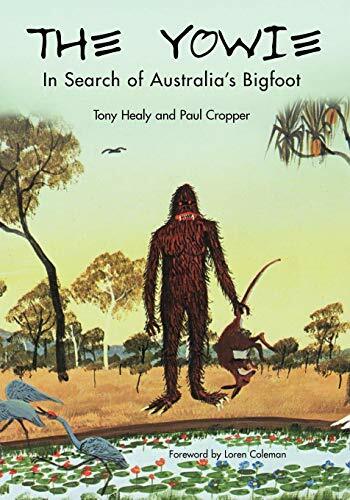 This short documentary (in two parts) details some of the sightings and legends of the Australian Yowie. 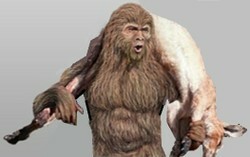 Links to Sasquatch (Bigfoot) and the Yeti are inevitable. Native all across Australia, most modern sightings have focused upon New South Wales and Queensland. The Yowie is commonly described as being like a gigantic hybrid between a human and a gorilla. It is certainly a primate. Bipedal, the ape-like creature walks on two legs, like human beings. The adults are at least six feet tall, though many tower at closer to ten feet. Its body is covered in a thick pelt of fur. Usually this is black, though variations have been spotted as reddish-brown or grey. Its skin, glimpsed through the hair on its fingers, is a shiny black. The Yowie's face is flat, like a 'gorilla or boxer dog' said one eye-witness. It apparently had no lips, as the mouth is a 'hole'. Some display long fangs, while others have incisors closer to a human's length. Though, of course, much larger in proportion to its body size. Nine out of ten footprint traces show five toes; but the rest only have three. This discrepancy has led some researchers to deduce that there is more than one species of the large Yowie out there. Everyone agrees that there is a second, smaller version besides. And that one has some scientific credence attached. Image: Yowie footprint? Picture taken by Katrina Tucker, on her mango farm in the Acacia Hills, in 1997. Are these the Australian kin of the Homo Floresiensis? The latter were found on the nearby Flores Island. The junjudees are like their larger Yowie cousins in most regards, except for their size. This creature stands just 4ft tall at maturity. What is intriguing is the possibility that there is paleontological evidence for them. In 2004, the scientific world was abuzz with the news of pygmy humanoid bones, found on the island of Flores. This species of human stood just 3.3ft tall; and lived around 13,000 years ago. In evolutionary terms, that's practically yesterday. Their remains were found on the island of Flores, which is located between Australia and Asia to the north. Like the junjudees, their description sounded more ape than human. They had flat faces and pronounced eyebrow ridges. Their brains were the same size as chimpanzees. But they were definitely akin to our species. They were named Homo floresiensis accordingly. Could a branch of their family have traveled south to the larger island of Australia? Could this account for the junjudee sightings now? 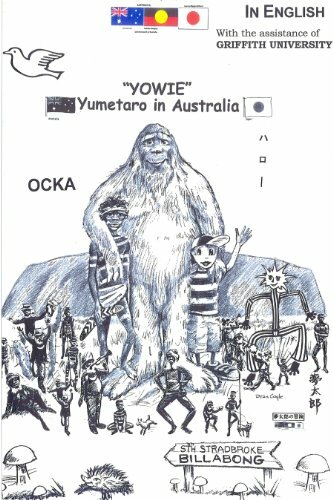 Do you Believe that Yowie Exists in Australia? Different Aboriginal tribes have different names for the Hairy Men in their forests. Buy these studies to learn more about the phenomenon in the world's wildernesses. Are the giant man-apes really out there? Is There a British Bigfoot on Ben MacDhui? It's big; it's hairy; it lives in a remote, wild place; and it has a bipedal humanoid shape. But this isn't the Pacific North-West. It's Scotland. OOOh I like this. How come we haven't seen one yet? I've met a few of these in my time, usually trying to get into private events in the middle of the night!